Around the world, businesses of all sizes are seeing the benefits of helping employees work smarter and better together, automating cumbersome manual tasks, and using customer data as a factor in deciding what to products and services to offer. Cloud and mobile solutions are becoming a means of transforming business productivity and enabling new ways of work. Replacing existing systems may seem daunting, overly costly or complex, and too significant an interruption—but the rewards far outweigh the risks. Increased efficiency, enterprise-grade security, and increased mobility—all without up-front capital expenses and with less dependency on IT infrastructure—make it easier for any business to use technology as a competitive advantage. So, why should you consider using new business applications in the cloud? Gain insights: Harness the power of your data to improve processes, spot trends faster, and outperform your competitors. With Microsoft Dynamics 365, you can zero in on the most promising leads with data-rich, interactive dashboards that help track your most active customers and uncover new sales and service opportunities. Guide your team to stay on track with role-specific workflows and familiar processes built around sales best practices. And use data and insights to customize and enhance sales presentations for more impact. 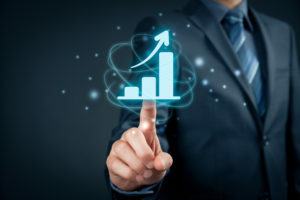 Improve productivity: Go beyond stand-alone business applications with connected solutions that drive business process automation and employee productivity. No matter what devices your team uses or where they need to work, they can stay connected to key business data like customer details, product information, and order status to deliver better customer service. And with a consistent user experience and single sign-on across the calendar, email, files, collaboration tools, and business processes, getting to the data you need quickly is simple and intuitive. Save money: Manage your business without the burden and cost of installing, updating, and maintaining software and managing hardware. Running your business applications in the cloud means reduced upfront software costs and no costly on-site servers to manage, plus you can add or remove users as your team changes. Rather than dedicating operational headcount to manual tasks, grow capabilities by automating business processes and repurpose your team to focus on more strategic projects. Reduce IT dependencies: With software and applications running in the cloud, employees can better serve customers, manage financial data, and stay connected without having to wait for IT for answers. 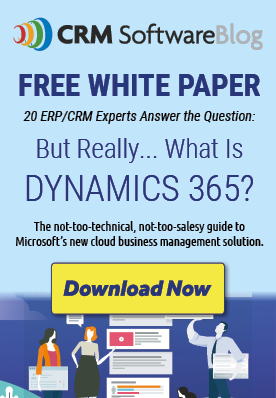 And Microsoft business solutions like Dynamics 365 are quick to implement and easy to maintain. Setting up services and migrating historical data takes days, not weeks, and with a familiar user experience across all your devices, your team will be productive from the start. Trustantial has a proven track record of helping midsize and enterprise businesses transform using the right technology solutions. We specialize in cloud business applications like Microsoft Dynamics 365 and are ready to help you take the next steps on your path to success. We take the hassle out of implementation, system integration, upgrades, and routine maintenance of your business solutions so you can focus on what matters most. Download your copy of the Reimagine Productivity e-book today to get started. By Trustantial, a Microsoft Dynamics 365 Silver Partner based in Dallas, Texas.